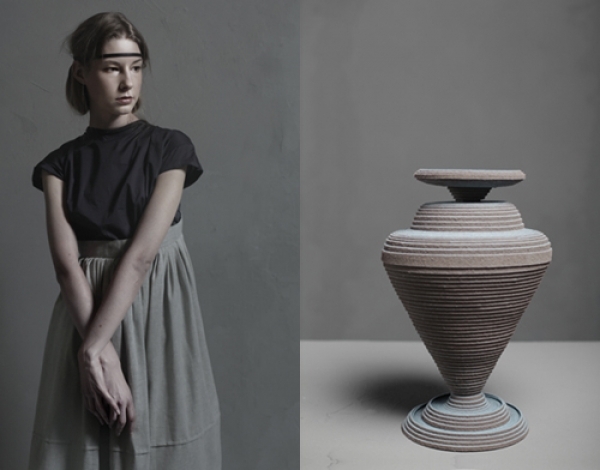 "From the exuberance of a community festival at a mud mosque in Mali to the solitude of life ‘off the grid’ in Wales, taking in both sweeping landscapes and the minutiae of an ant colony, these stunning images have been named the winners of a world-renowned photography competition. 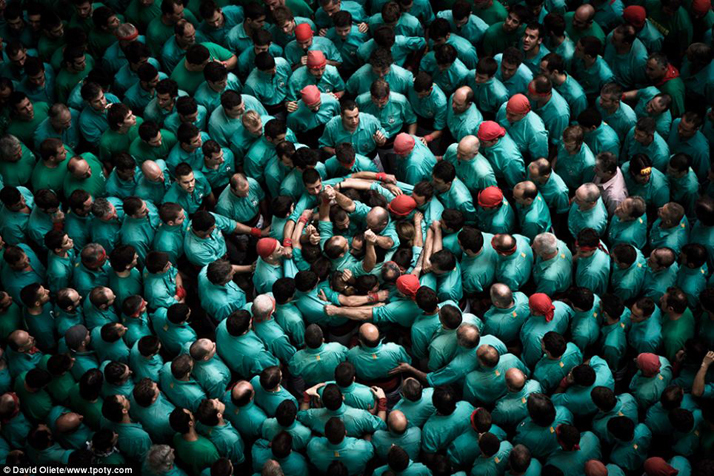 The winners of the Travel Photographer Of The Year awards, which were announced, give both armchair travellers and seasoned explorers a glimpse of the magnificence, beauty and poignancy of this planet and its inhabitants. This vibrant, entertaining and sometimes thought-provoking selection, taking in both places that many of us will never travel to and familiar destinations, were captured by the hugely talented amateur and professional photographers who beat entrants from nearly 100 countries." 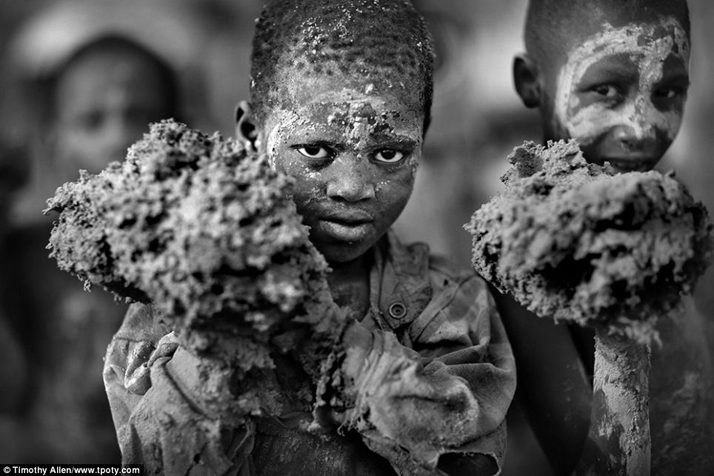 Winner: Photographer Timothy Allen won the top prize, the Cutty Sark Award for the Travel Photographer of the Year 2013, for his portfolio which included this black and white image of the mud mosque replastering festival in Mali. 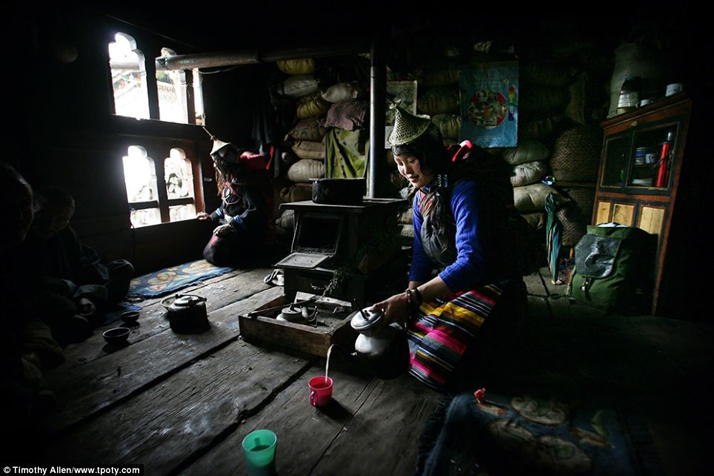 Prized: British photographer Mr Allen also took this image depicting a young Layap woman pouring butter tea in her house in Laya, North West Bhutan. 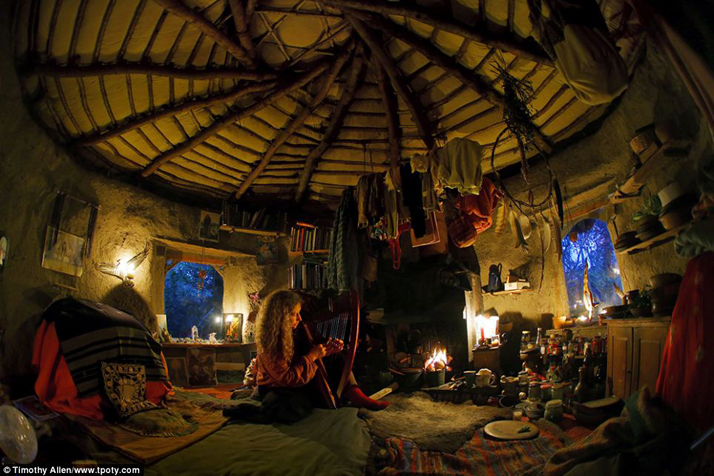 Off grid: Emma Orbach, who lives in a mud hut at Tir Ysbrydol in West Wales, was photographed by competition-winner Timothy Allen. 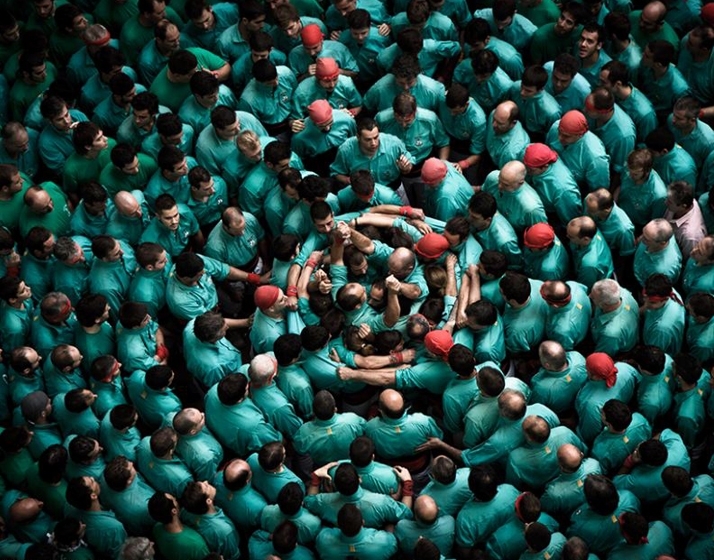 Human nature: This photograph of human towers being built at a festival in Catalonia, Spain was taken by David Oliete and was highly commended by competition judges. 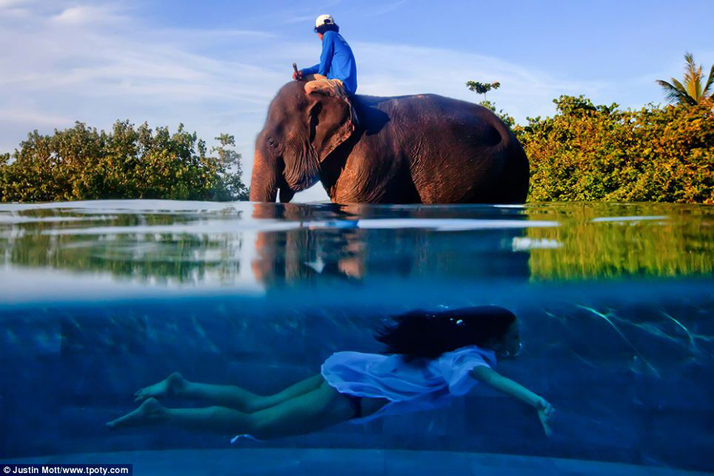 Dramatic: US photographer Justin Mott took home the One Shot, Extraordinary prize for this image taken in Phuket, Thailand. 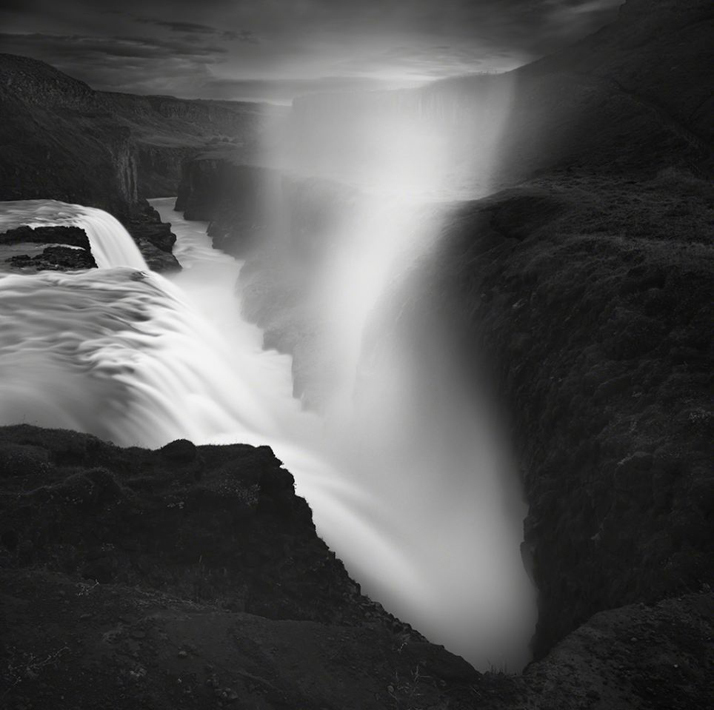 Landscape: French photographer Emmanuel Coupe was behind this stunning shot of the Gullfoss waterfall in Iceland. 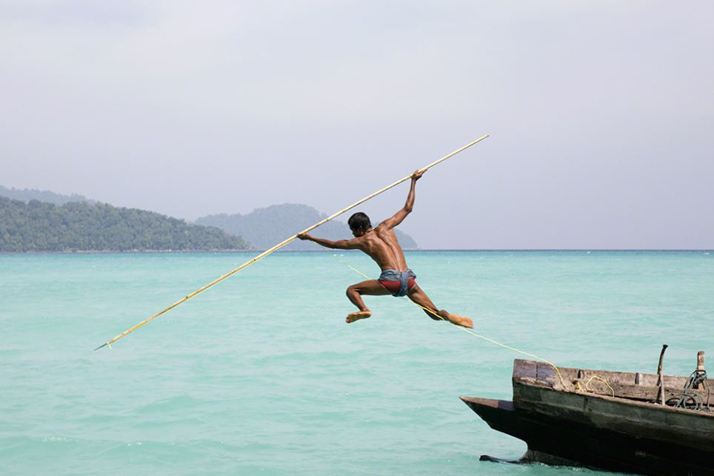 Leap of faith: British photographer Cat Vinton was commended for this image of a sea gypsy spear fishing on the Andaman Sea. 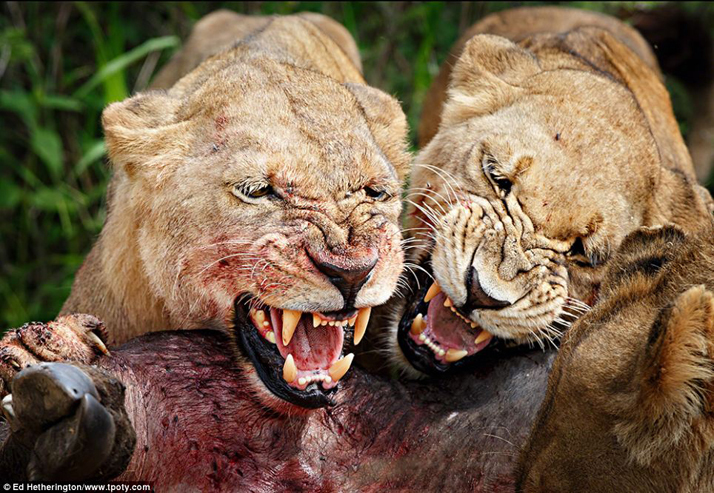 Out hunting: Ed Hetherington caught these lionesses on camera as they hunted for food on Chief's Island in the Okavango Delta, Botswana. 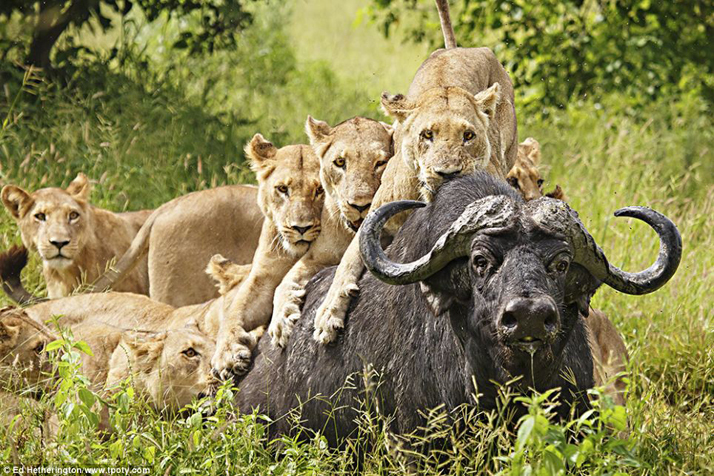 Beastly: Mr Hetherington also caught the moment the lionesses pounced on their prey. 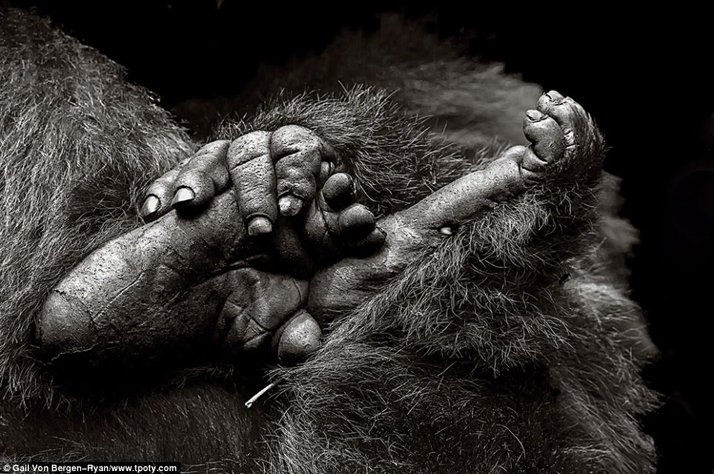 Tender moment: This unusual image of a gorilla was taken in the Virunga Mountains of Rwanda by Swiss photographer Gail Von Bergen-Ryan. 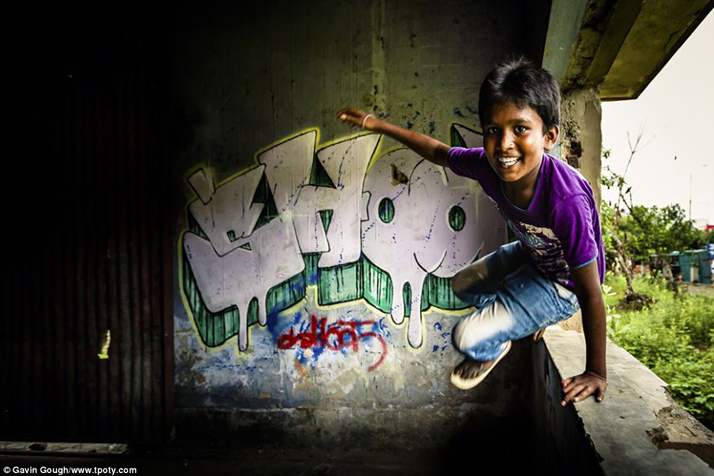 All smiles: British-born photographer Gavin Gough won a prize for his portfolio with the help of this shot of a boy leaping through the open window of a derelict building in Kolkata, India. 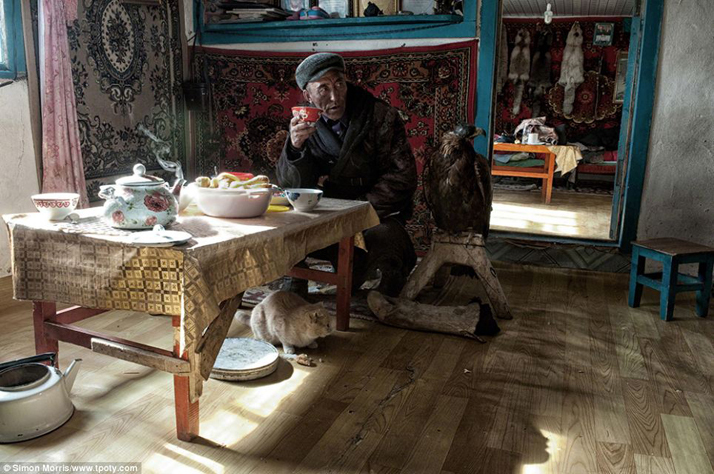 At rest: This photograph of an eagle hunter and his eagle at rest at home in the Alti region of western Mongolian was named runner-up in the Vanishing & Emerging Cultures category. 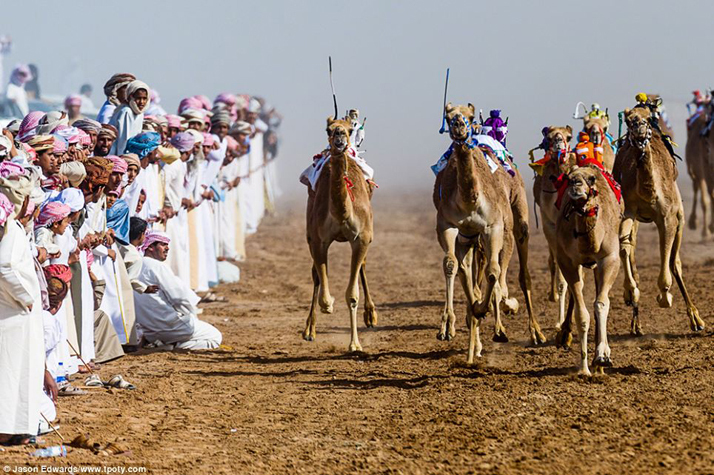 Race to the finish: Camels ridden by robotic jockeys race to the finish line to the joy of the watching crowd in this picture taken by Jason Edwards. 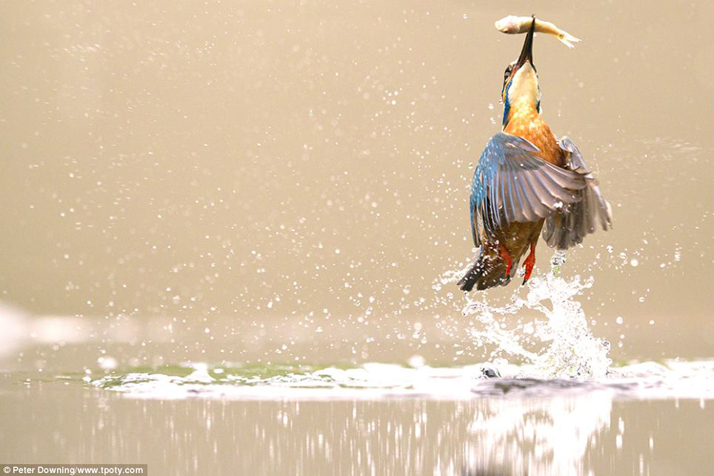 Gotcha: UK-based photographer Peter Downing won a best single image in a portfolio category for this shot of a kingfisher in Worcester. 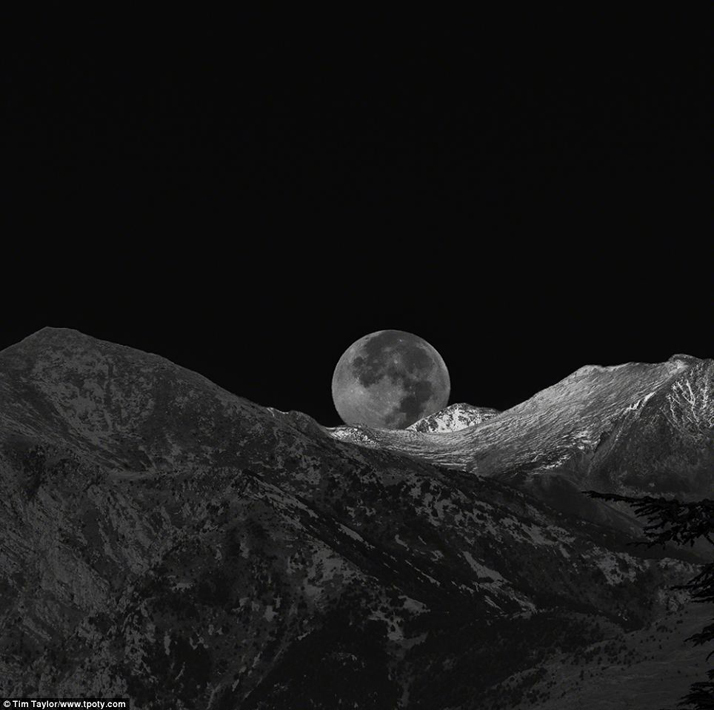 Moonshine: Tim Taylor took this dramatic photograph of the moon over the French Alps. 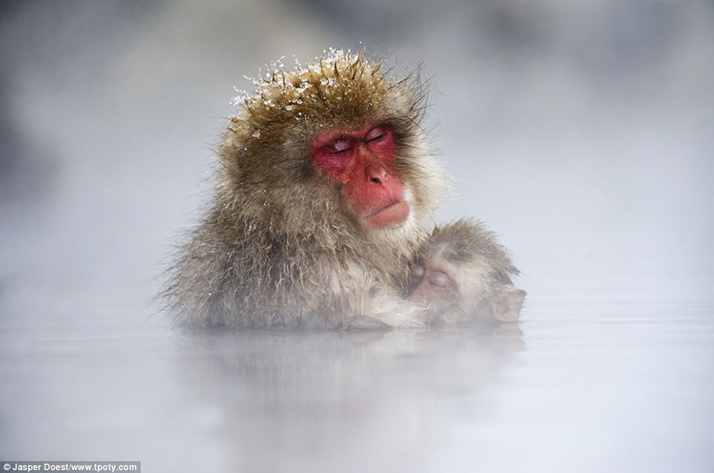 Misty eyed: This tender moment between a Japanese macaque mother and baby was captured by Jasper Doest. 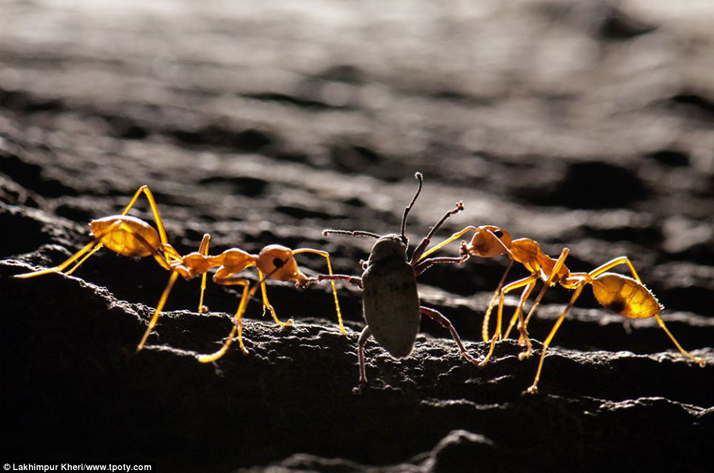 Holding back: Weaver ants with a mango weevil in Uttar Pradesh, India.